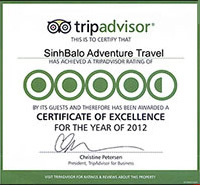 Sinhbalo | The World Heritage Sites Hoi an to Hue. Explore the ancient towns. Arrive Da Nang / Da Nang-Hoi An Following our morning arrival at Da Nang Airport, we head directly to the Cham Museum. Founded in 1915 by the Ecole Francaise dExtreme Orient, this collection of Cham sculpture – exquisitely detailed sandstone carvings – ranks as the world’s finest. 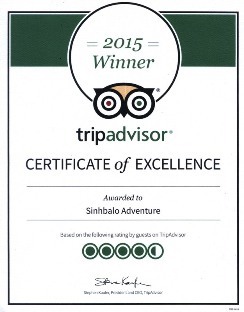 You will see altars, lingas, Shiva, Vishnu gods, garudas statues dated back to 8th century. Back on the bus, we will pass by gorgeous, seven-km, white sand Non Nuoc beach where American soldiers once vacationed during wartime. Next we visit the Marble Mountains – five rainwater-etched limestone hills which house grottoes, pagodas and temples dedicated to Buddhist, Confucian and Taoists deities. Continuing on, we arrive at the riverside town of Hoi An, 30 km south of Da Nang. During the 18th and 19th century, Hoi An was one of South East Asia’s major international ports. After check in hotel, we have free time to explore Hoi An’s night life. Day 2 : Hoi An. 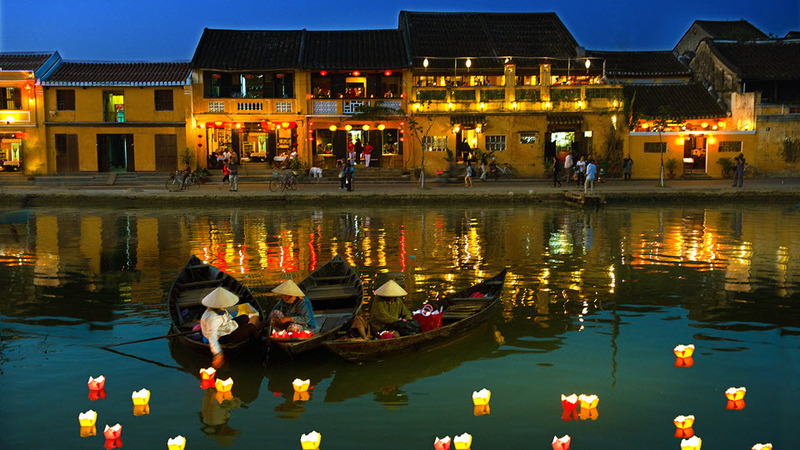 Hoi an Vietnam today is a special case of port traditional market in Southeast Asia. It was preserved carefully. Most of the houses here are traditional architecture dating from the 17th to 19th century. The city located along the narrow shaft, alternating between the town house, the religious architecture, demonstrates the process of formation, development and urban decay. 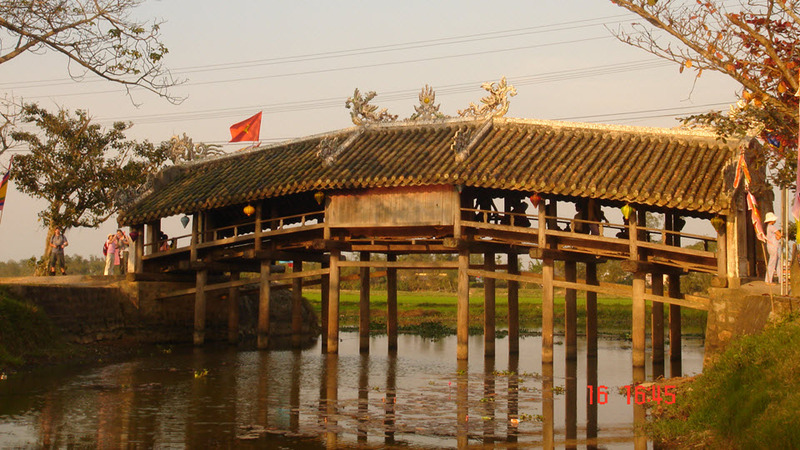 Hoi An is also a land mark recorded many of the mix, acculturation. The assembly halls, temples bear traces of Chinese people inside the town house and traditional Vietnamese-style houses as well as French architecture. 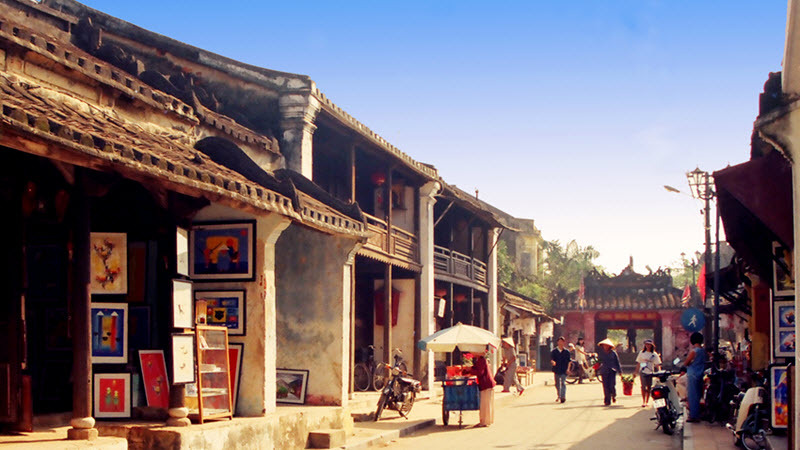 Besides the cultural values ​​through the structures, Hoi An retains a culture of diversity and intangible rich. Daily life of the inhabitants of the ancient city with the customary, religious activities, folk art, cultural festivities are still being preserved and developed. 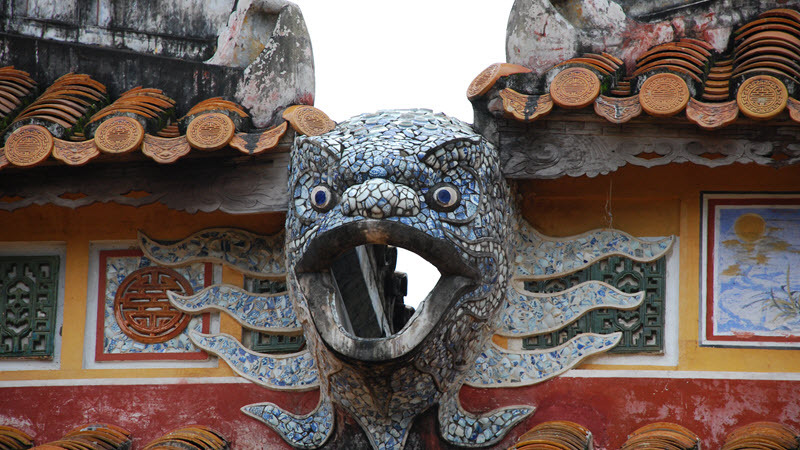 Hoi An is seen as a living museum of architecture and urban lifestyle. 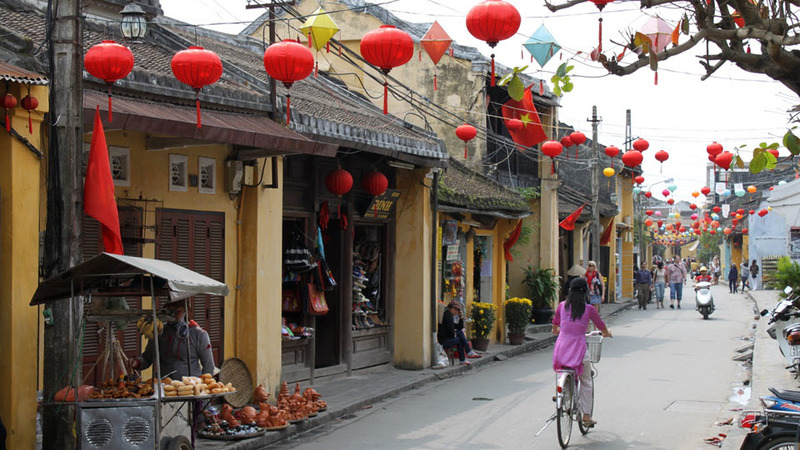 We begin a day with a walking tour of Hoi An’s old town, a UNESCO World Heritage Site. 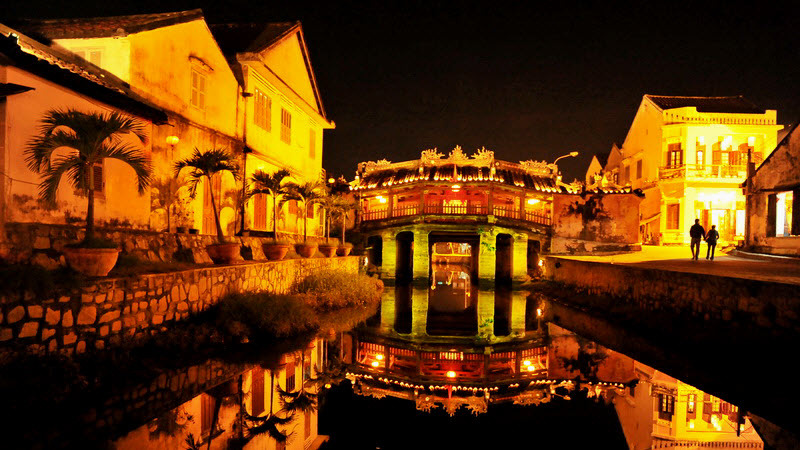 Our visit will include stops at the Hoi An Museum, Fujian Chinese Congregation Hall, the Japanese Covered Bridge, a local artist’s studio, and at an Old Vietnamese home (which is presently inhabited by the descendants of the first settlers). In the afternoon, we will take a boat trip on the Thu Bon river to visit the boat building and carpentry villages of Kim Bong and Thanh Ha. Here you will have the opportunity to talk and interact with the local people. Overnight in Hoi An. Day 3 : Hoi An to Hue. Good chance for photo shooting at the market. Hoi an has the best fish in this area. You will get picture of hundreds of people at the wholesale fish and fresh vegetables market. The panorama view of river front market from Cam Nam bridge in the morning light is very different and unique. It will be a great start for the day. 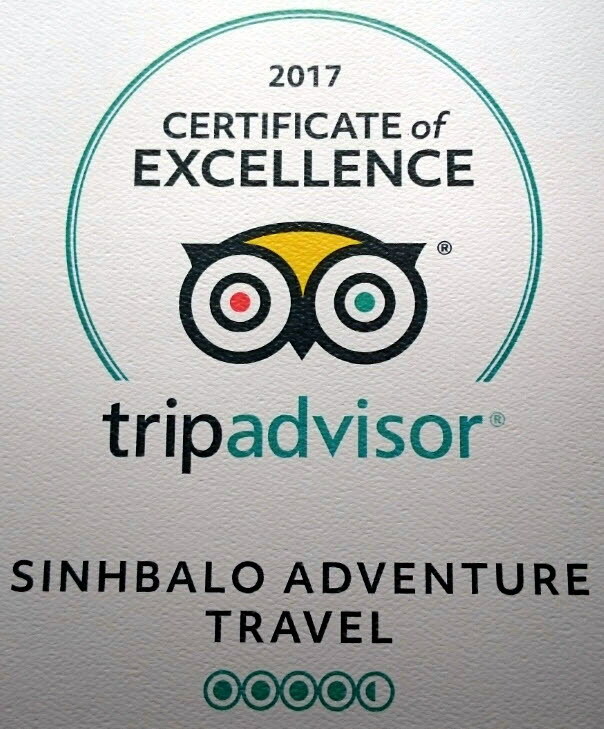 After breakfast, we travel to My Son, an archaeological site at the center of the ancient kingdom of Champa and a UNESCO World Heritage Site. Then we head north on highway 1 along the coast line to Hue. Enroute, we stop at the top of legendary HaiVan Pass which commands majestic views of Danang’s lovely bay and its fame My Khe beach. Arriving in Hue late afternoon, we check-in at our hotel in Hue. Time to rest or promenade along the Huong river near TrangTien bridge. Overnight in Hue. Day 4 : Hue Royal Citadel and tombs. 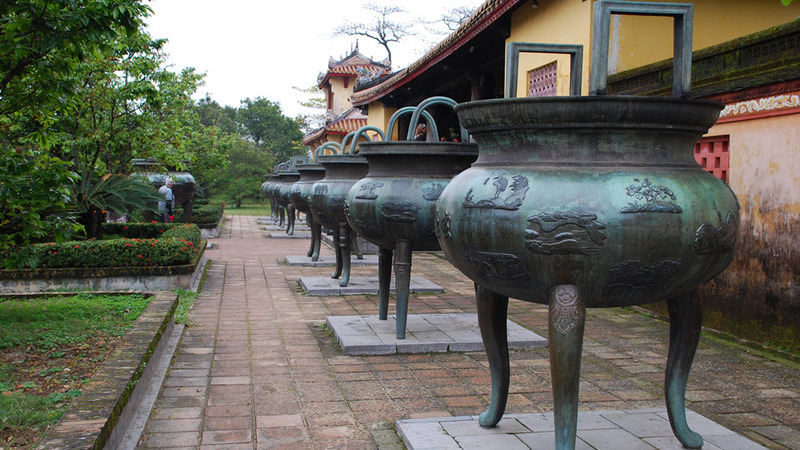 Hue was the capital of Vietnam feudal Nguyen Dynasty from 1802 to 1945, the last dynasty in Vietnam’s history. 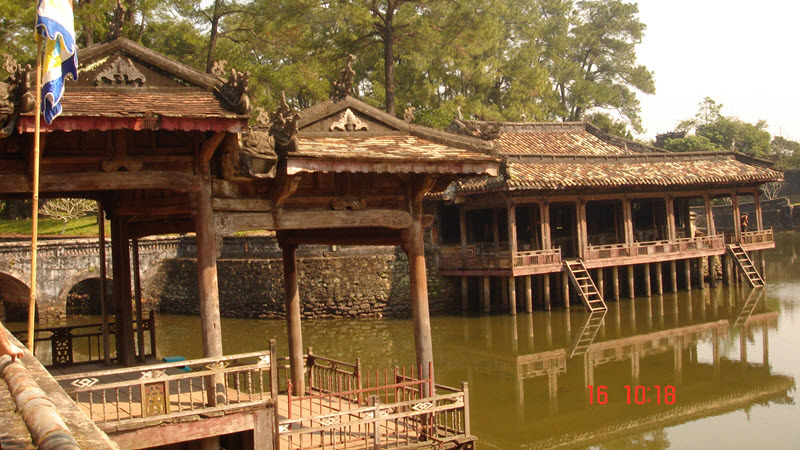 Relics of Hue situated along the banks of the Perfume River in Hue City and some adjacent areas of Thua Thien Hue province. After breakfast at our hotel, we head to the Royal Tombs area where we will visit TuDuc tomb. Returning to Tuan market, we board a dragon boat and visit MinhMang tomb. 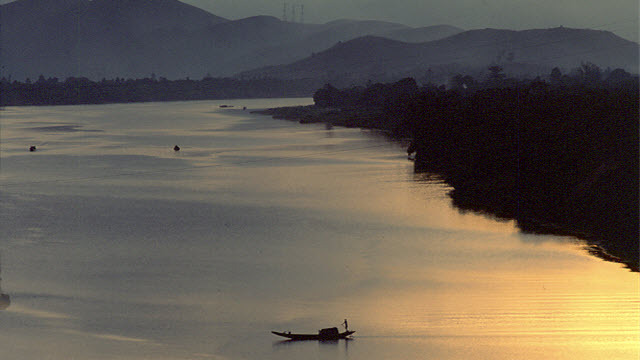 While MinhMang is less visited due to its distance from Hue, many have found it to be the most remarkable of all. Heading back to Hué, we cruise the Perfume River, and stop along the way to visit ThienMu pagoda, an edifice symbolic of Hue where we can stroll around the gardens on the pagoda grounds. Back in Hue, we will travel by minibus to the Citadel. Built in 1805 during the reign of Emperor Gia Long, it was constructed along the lines of Beijings Forbidden City. This major attraction is its vast, 19th-century Citadel, surrounded by a moat and thick stone walls. It encompasses the Imperial City, with palaces and shrines; the Forbidden Purple City, once the emperor’s home, royal library and theater, and other temples inside. 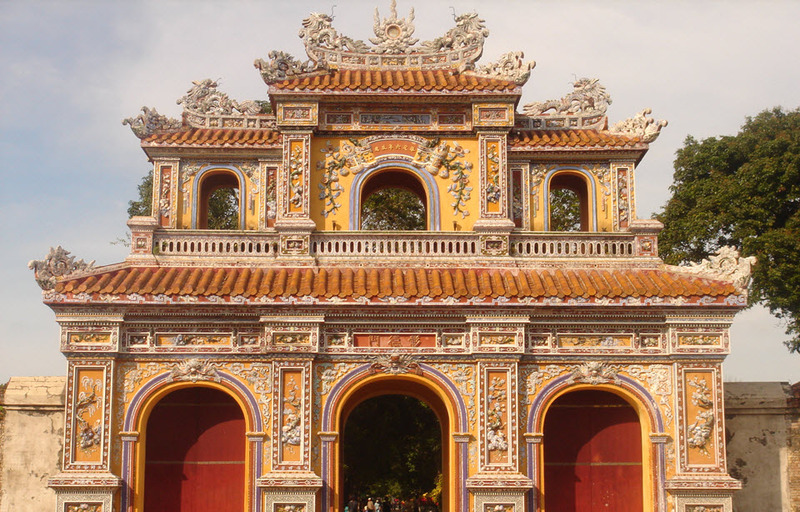 Hue ending mission is Vietnam’s capital in 1945 when the the last emperor of the Nguyen Dynasty, Bao Dai has abdicated. Since then, the capital of Vietnam once again been selected as Hanoi. On the way back to your hotel, we’ll conclude the day’s adventures with a visit to bustling Dong Ba market. After breakfast, you will have free time until your transfer to the airport. Deluxe hotel: Almanity Hoi An **** /Deluxe. Morin hotel **** / Superior. Supplement charge for single occupancy: 2,400,000 vnd (US$ 104). 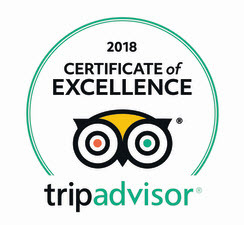 * All admission fees for the Citadel and Royal tombs, boat trip. 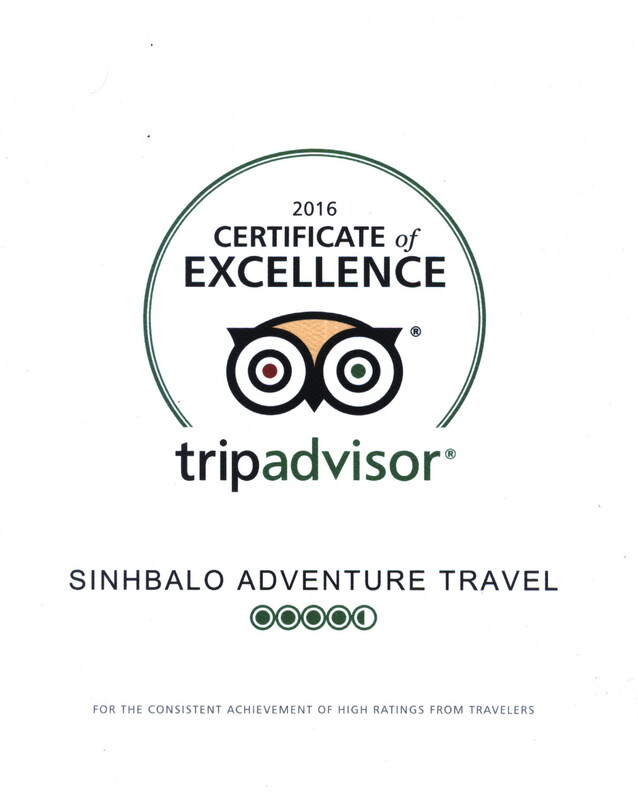 * Accommodation (4 nights) with breakfast. * Transport : A/c car or bus. * Guide: English speaking guide. Not included: Insurance, meals, airfare, personal expenses. 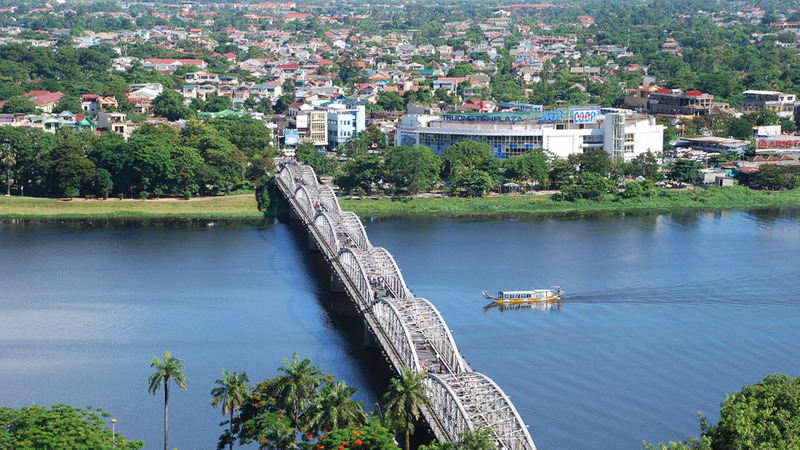 Hue Vietnam – perfume river see from VongCanh hill. Hue Vietnam -TrangTien bridge. Connect the road from Hoi an to Hue in the old time. 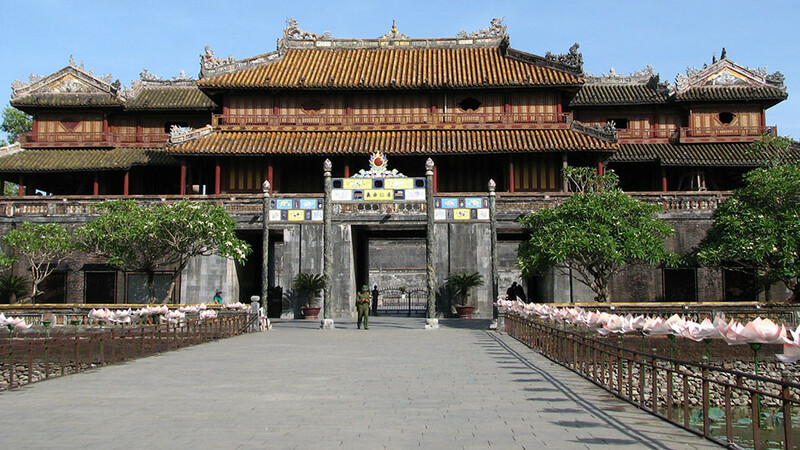 Hue imperial city – ChuongDuc gate for female.